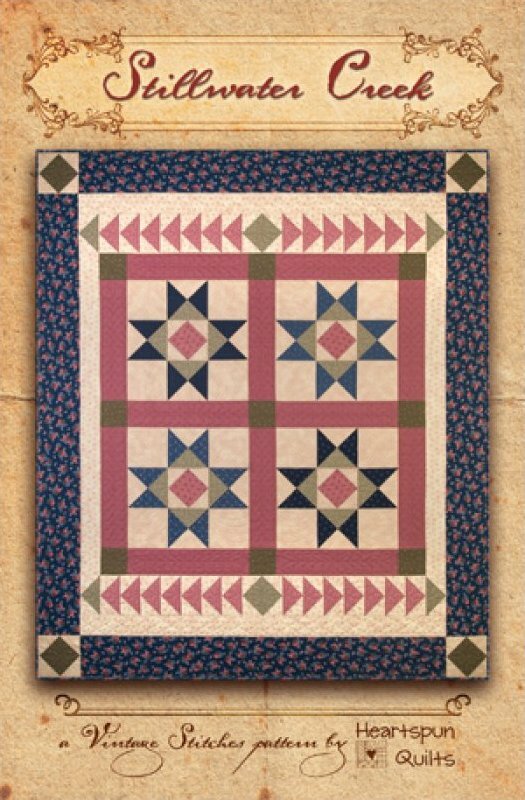 Stillwater Creek features four large 18 inch Ohio star blocks and a fun Flying Geese border! The pattern has easy piecing techniques and modern rotary cutting instructions for a quick and easy quilt that makes up in a jiff!! The quilt on the cover was made using my Heart of the Prairie collection with Marcus Brothers Fabrics. Visit www.marcusbrothers.com to see the entire collection! Quilt measures 65 1/2" x 77 1/2"